GET 15% OFF YOUR FIRST ORDER AS A PRIMALLY PURE ORDER WITH CODE “GRAZEDANDENTHUSED15” AT CHECKOUT ALL DURING MARCH! This past weekend I asked someone, “If you don’t trust what the government allows in our food supply, why would you trust what they allow in our personal care products?” (or our water, our prescription drugs, our household cleaners for that matter…). The person looked a little perplexed, and it definitely got them thinking. It’s not like scientists haven’t discovered the potential and proven dangers of the toxins in our personal care products. They have. In fact, the European Union has banned 1,400 of the 1,500 chemicals that American cosmetics company Beautycounter has banned from their products. America has only banned 30 of the 1,500 chemicals known to be potentially harmful or confirmed to be harmful.And just because a shampoo gets washed out of your hair or a mascara touches just your eyelashes doesn’t mean these chemicals aren’t getting absorbed through your skin and mucous membranes. Why deodorant? Well we put it on every day, sometimes multiple times a day, and we apply it to our underarms. Our axillary lymph nodes can be found in this area of our body. Other lymph nodes can be found in the groin and in the neck. They are part of our larger lymphatic system, which is responsible for filtering and draining fluids, bacteria, and toxins as well as acting as an important part of our immune system. Yes, the lymphatic system is INCREDIBLY important in preventing autoimmune diseases!! WHAT’S THE BIG DEAL WITH CONVENTIONAL DEODORANT? Current research is challenging the safety of typical over-the-counter underarm antiperspirants, but it still isn’t clear the quantity of chemicals absorbed through the skin. Maybe the research will turn up that we were always in the clear, but I’m going to say likely not since it has been proven that toxic chemicals applied to the skin do pass the skin barrier and can be absorbed into our bloodstream. And frankly, our bodies were MEANT to sweat! It’s one of our detoxification mechanisms, so why would we block that using an antiperspirant? Especially one full of these chemicals like these! Triclosan (which can lead to liver toxicity and thyroid dysfunction and has been banned by the FDA last year in effect as of September 2017). Active Aluminum Zirconium Tetrachlorohydrex Gly (15.2%). Purpose: Antiperspirant. Inactive Cyclopentasiloxane, Stearyl Alcohol, C12-15 Alkyl Benzoate, Ppg-14 Butyl Ether, Hydrogenated Castor Oil, Peg-8, Fragrance (Parfum), Dimethicone, Silica, Polyethylene, Helianthus Annuus (Sunflower) Seed Oil, Steareth-100, Bht, Hydroxyethyl Urea. One could argue that the dose is in the poison. We don’t slather on deodorant over our entire bodies, mascara is only applied to our eye lashes, and foundation only touches our face. The Halifax Project team investigated 85 common chemicals not known to be carcinogenic on their own and found that 50 can disrupt cancer-related pathways (known as the Hallmarks of Cancer) at low doses typically encountered in the environment. The researchers go on to propose that combinations of these chemicals could cause cancer by disrupting multiple pathways and overwhelming the body’s defenses. This thinking is in-line with the current understanding of cancer as a multi-step process. They also noted that even in the lowest doses, these potentially cancer-causing ingredients were disrupting cancer-related pathways. You didn’t need to glug a bottle of parabens a day! It’s simply that the everyday choices we make overtime make our bodies more prone to developing and having difficulty fighting cancer. One of the first products I switched out for safer was my underarm deodorant. Although it hasn’t been without-a-doubt confirmed that the aluminum and hormone-disrupting chemicals found in deodorant definitely cause breast cancer, I’m not willing to put chemicals on top of the lymph nodes nearest my breast (and that breast cancer frequently spreads to). I went without deodorant for 3 years between 2013 and 2016. I lived in colder climates for most of the time, so it wasn’t a big deal, but once summer hit in Austin, Texas, I knew I needed to bring deodorant back into my routine! Now that I live in Florida where it’s pretty much 80 degrees or warmer year round, yeah I can’t away with no deodorant anymore! After trying 3 different brands of safer deodorant from Whole Foods that neither prevented perspiration or covered up any sweaty smells, I had almost given up. But then I discovered Primally Pure. Primally Pure is this truly inspiring skincare and beauty company started by Bethany McDaniel. Bethany is a fellow new mom whose passion for safer products has extended to a full line of highly effective solutions to our everyday problems like dry skin, fine lines, stinky underarms, chapped lips, and even beard itch (man problem, ladies!) She’s been a huge inspiration for me throughout my journey in motherhood and switching to safer products. 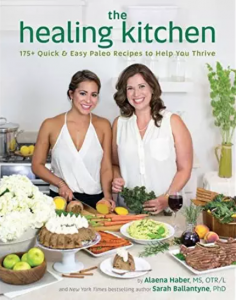 Bethany is one of the most generous and kind people I’ve “met” in our Paleo community of business owners! 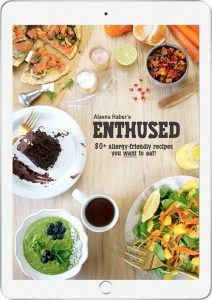 And her products are innovative, environmentally-conscious, and well-researched. 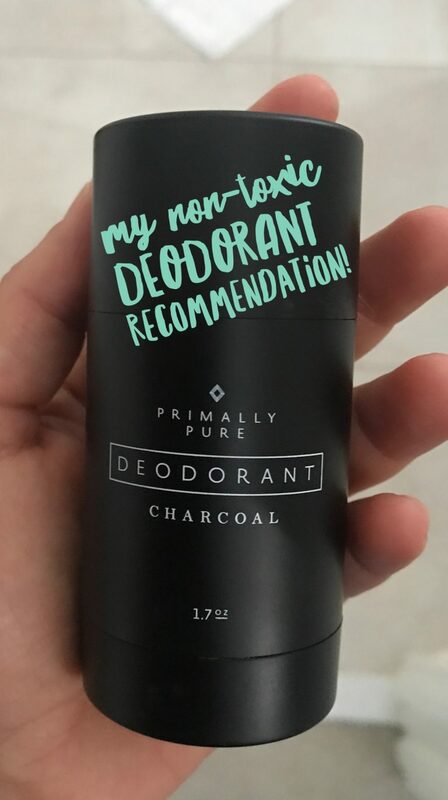 Primally Pure Charcoal Deodorant is the only safer deodorant I’ve tried that doesn’t just look pretty but it works. It is SO effective, I put it on in the morning and I don’t have to fear what I’m going to smell like by the end of the day. Showers are a luxury these days since staying home with an 8-month-old doesn’t give you much time for self care. 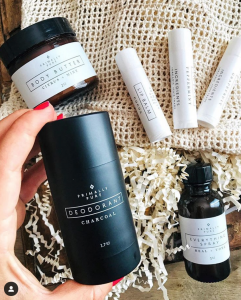 I use the Charcoal Deodorant because it contain non-nano zinc oxide to beat odor, arrowroot starch to absorb moisture, grass-fed tallow and coconut oil to sooth and moisturizer, baking soda to deodorize and best of all detoxifying charcoal and clay! Compare THAT to the list of ingredients in Dove deodorant above! 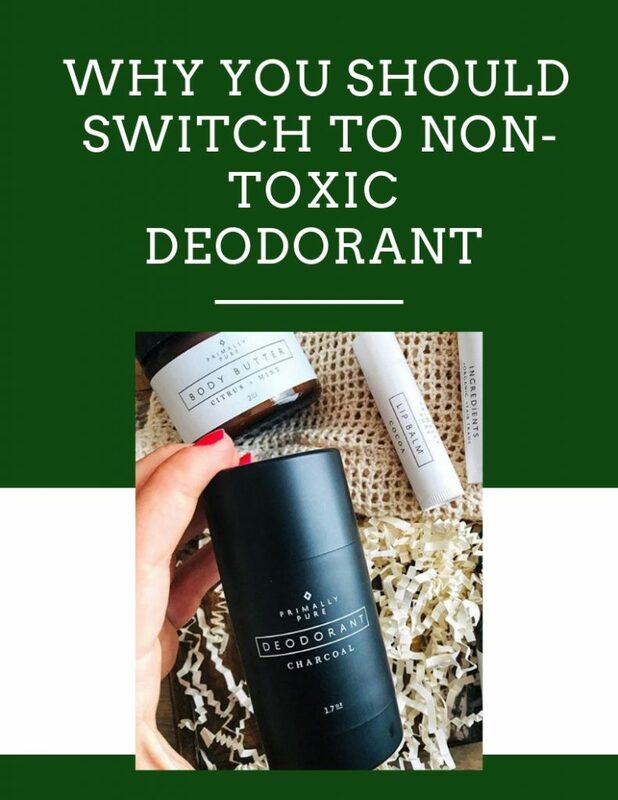 Start small with your lifestyle changes – even just switching to a safer deodorant can make a big difference in your overall toxin burden. 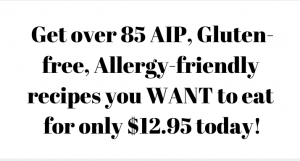 Non-Toxic Skincare Products That Work! Does our skin always absorb what we put on it? I’d like to try this deodorant. You have a referral code?